Do you understand the terminology and processes involved in maintaining your business financial statements? As a small business owner, it's important to understand how accounting activities tie into your everyday operations. Knowing how to keep track of your income and expenses will indicate how well your business is doing and tell you what you need to do to improve. 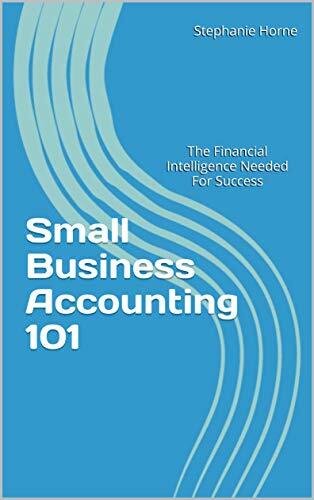 Accounting is made simple when you know the basics that can be found in the Small Business Accounting 101 e-book (which you can download here FREE for the next 5 days only).. Learn valuable accounting tools for business with this accounting all in one guide book. Gain a greater financial intelligence of the chart of accounts, long-term liabilities, financial statements, financial terms and more! Use it as a simple accounting quick reference guide. Are you an entrepreneur, business owner or in the accounting and finance industry? Then this book is for you! I am currently running a free promotion that allows you to download a free copy for the next 5 days. When you are done, I would appreciate it if you would please help me out and leave a review at Amazon here. It would be super helpful, thanks! Business owners are now making extra money online. Learn new ways to get paid even more in sales income online. We are in the era of immediate online access to anything and everything we could ever want these days including online products and services. With that in mind, it is extremely important that you have a web presence when you have your own business regardless of what kind of business it is or whether or not you do online bookkeeping or if you sell products or services or both.. Trying to determine how best to do your bookkeeping for generating a clean profit and loss statement for your income tax preparation can be overwhelming. While doing bookkeeping, and using income tax software, it is a really good idea to already know what categories of expenses are income tax deductions before tax time so that your chart of accounts can be set-up correctly from the start and you will be ready to go when it's time to file your taxes..
Do you have any comments? Ideas? Feedback? I'd love to hear from you! 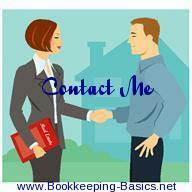 CONTACT ME with your question or give me a suggestion. Just reply to this e-zine and tell me what you think.